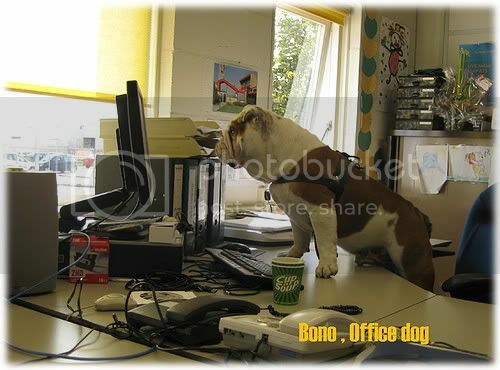 Sometimes I take Bono with me to the Office. What a cute picture! He is so handsome! Do you think he could help me? LOL so cute!! what a great pic! i bet he would love to Skype, he's all set in front of the screen!